French doors, sometimes also referred to as French windows, have many small windows for the length of the door. To ensure that the doors are able to hold the weight of all that glass, they’re typically built of very sturdy material such as hardwood or steel. There are many designs and patterns available, but Americans commonly see them used as exterior double doors for a home. They let in significantly more light, provide more space for those summer get togethers, and they could contribute to the value of your home as well. An entryway can be a darker place in the home, especially if there are no windows nearby. In addition to their aesthetics, exterior French doors are a great solution to bringing some natural light to this area while also providing a pleasant view of the outside. In the event that the doors face the sun, you can even use tinted windows to help control just how much light the entryway receives. 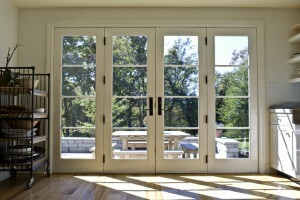 Patio doors are another space that commonly sees an upgrade to French Doors. The door frame is typically of the proper size for French Doors, and it’s an optimal place for people to pass through. If privacy is of more concern than the extra light, you can opt for windows that are fitted with opaque glass instead. This will prevent any prying eyes from seeing inside your home while still preserving the aesthetic of the style. Bio: ETO Doors offers custom door solutions, and high-quality doors at warehouse prices. Order from ETO Doors, and feel confident you’re shopping from sustainably sourced materials produced by a responsible manufacturer.